Deliver long-lasting greetings with these colorful tri-fold calendars. 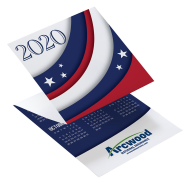 These powerful promotional pieces are available in a wide array of themes. 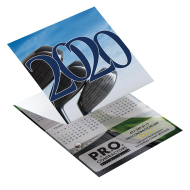 Find the best match for your customers and business image, personalize it with your company's information and a greeting message, and start enjoying 12 months of promotional exposure. 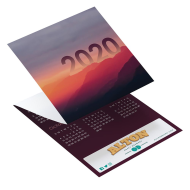 Custom tri-fold calendars are the perfect promotional product for any type of industry. Don't miss the chance to promote your services, greet your clients and stay present in their minds with this extremely effective promotional product. 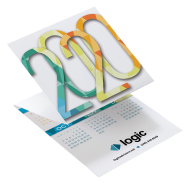 Find the right greeting tri-fold calendar for your law firm and order them today!